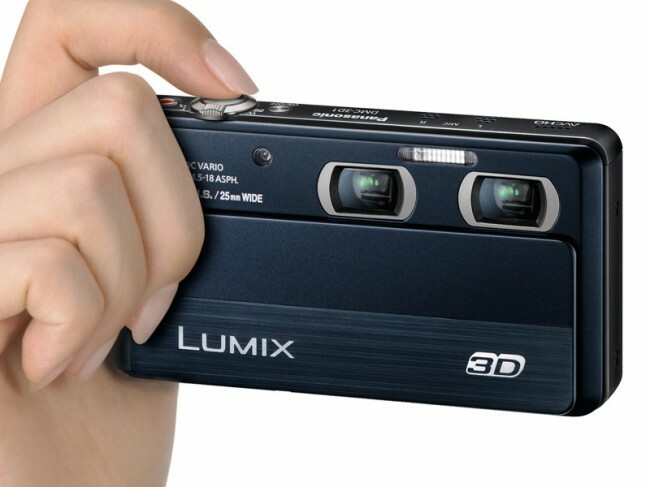 As well as announcing the Panasonic LUMIX DX1 today, Panasonic has also announced the LUMIX DMC-3D1 camera. This particular camera has two lenses and is capable of capturing photos and video in 3D. 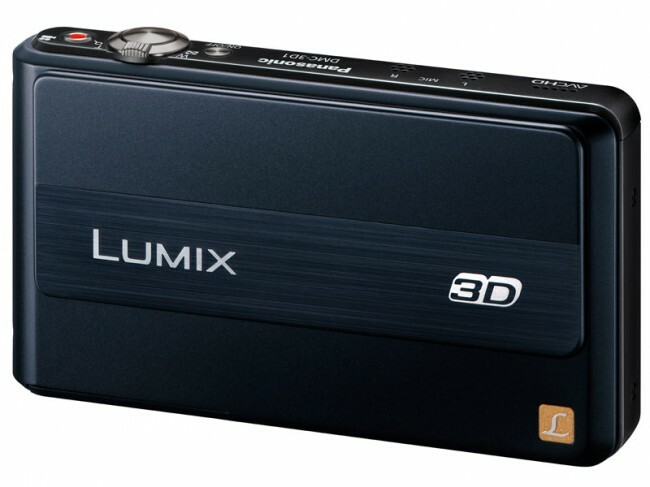 To capture images the LUMIX 3D1 has a couple of optical zoom lenses which are 25-100mm in 2D mode and 30-120mm when used in 3D mode. Each captures to 12.1 megapixel dual sensors which are 1/2.3 inches. 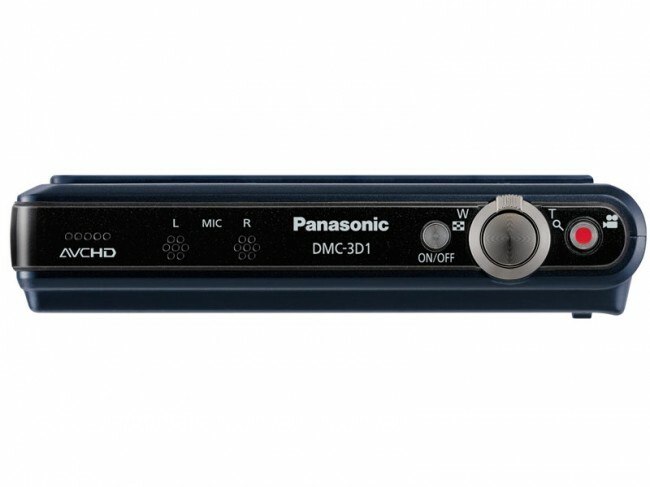 As well as being able to capture single images in 3D (or 2D) and capture video in 2D or 3D, Panasonic also brings a few new ideas to the table with this device. As it has two lenses and two sensors, each can be configured to work independently. This could mean that you capture video with one lens and capture stills at the same time with the other lens, or you might opt for capturing separate videos with different focal lengths. The concept actually sounds quite good and opens up some possibilities for capturing video in a unique way. Other features include 8 frames per second burst which is done at full resolution although not auto-focus at 8fps. Auto-focus does kick in at 4 frames per second though. On the back is a 3.5 inch touchscreen allowing you to quickly navigate through menus. As for the pricing and release date, it will cost $499.99 when it launches in December this year. More pictures below.